Work with our contacts to plan the ORSY® rack that meets your needs. You can also use the rack configurator to design your system directly online. 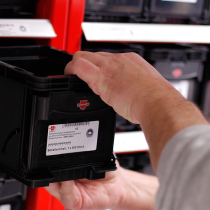 Log in to the Würth online catalogue with your existing login details or via the guest access. You will find the ORSY® rack configurator in the navigation bar under "Functions". 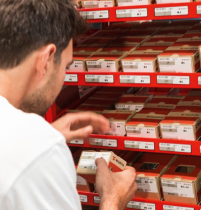 ORSY® rack systems from Würth Industrie Service enable you to store and supply commodities and consumables as required. We work with you to develop your customised rack system, which is designed to suit your specific situation. You specify the scope and contents. We'll take care of the rest! Your advantages: faster access to items, transparent inventory monitoring, individual planning, set-up, labelling, loading and continuous maintenance of your ORSY racks as well as permanent product range controlling.